Northern Irish indie pop band Two Door Cinema Club’s third studio album “Gameshow” is an enjoyable trip into 80s nostalgia, however it is not as energetic as “Beacon” and drags on at times. The band was formed in 2007 by the three members Alex Trimble, Kevin Baird and Sam Halliday. They developed their own distinct sound with the impressive, high but soft vocals and ear-warming sounds. In their new album “Gameshow”, Two Door Cinema Club delivers its established mix of indie pop with a noticeable retro sound to it. The 80s synth tone is distinguishable throughout the album, but it fails to delivers something stronger. Whereas “Beacon” was energetic and spirited, like the first two hours of entering a club and dancing to your heart’s content, “Gameshow” is the calming mix slowly persuading people to go home with a smile on their faces. The song Gameshow has a retro road trip vibe to it and is one of the stronger songs on the album. It reminds one of songs like Undercover Martyn with its upbeat melody and chorus, but it does remain calmer overall. Fever is a great example for the band’s nostalgic trip into the sound of the 80s. Frontman Alex Trimble shows once again what a remarkable voice he has when he carries the lyrics on a high register for quite a while. The neo-soul sound fits well into the whole sound of the album. The song Ordinary is the perfect song to sway to and move your body to the nostalgic retro disco sound with funk elements. It is also one of the titles of the album that you remember because the drums are strong accompanying the vocals and the beat is infectious. There are a few songs that are great disco tunes making one want to move and sway and celebrate, but the overall tone of the album is a lot calmer and less explosive than “Beacon” was. Two Door Cinema Club released a good album, however it remains disappointingly uninspired and hardly steps into experimental territory. It is noticeable that the band has matured, but fails to surprise. 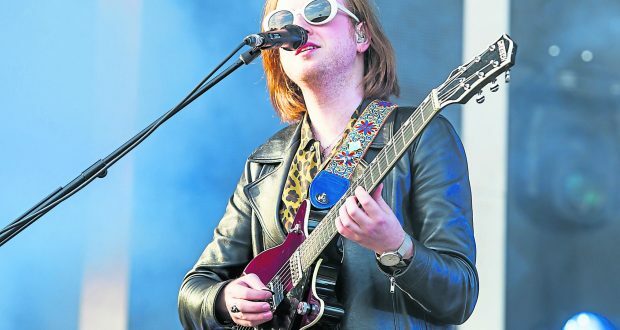 Two Door Cinema club delivers an entertaining album but remains quiet and stale compared to the experimental, groovy sound that gave Beacon distinction and brought them to number two of the UK album charts. What doesn’t the PSP Vita have?